In this article, you are going to meet the best piano choices you have as a beginner. The right tools to introduce you to this world consist of tone and voice selection, key sensitivity, hammer action technology, and tone generation. 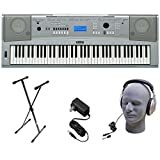 You may also want to buy a digital piano that easily connects with speakers with a sturdy sound equipment. All these features can be found in our 10 best selections. By using the information in this article, you can choose a wonderful instrument to meet your needs. In order to arrive at this conclusion, we considered many different choices. First, we narrowed the list down to these top 5 best digital pianos for beginners you can get at this moment. 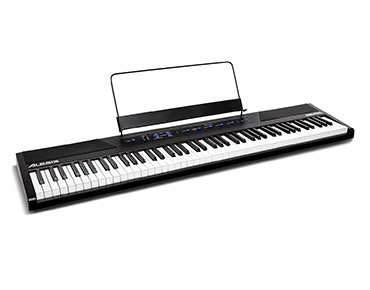 The Alesis Recital offers 88 semi-weighted keys, a 20-watt speaker, and layer mode making it a great choice in digital pianos for beginners this year. The keyboard can be split into two parts allowing teacher and student to play at the same time. Moreover, a built-in metronome helps students master tempo. 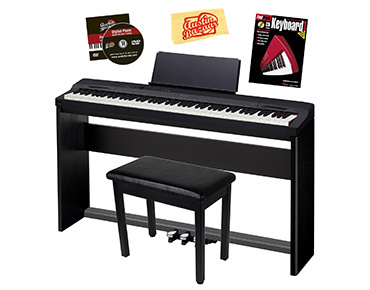 This best digital piano for beginners can be powered by the included power adaptor or six D-cell batteries. 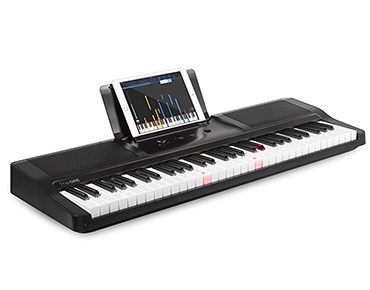 This 66-key digital piano is designed to make piano learning fun. Once connected to the free app, the keyboard lights up the precise key the player needs to play. Moreover, the music will advance only when the player uses the right key. Through the app, beginners have access to over 4,000 songs. On top of that, they can take advantage of some entertaining lessons that look like arcade-style video games. This will help them master key topics in no time. 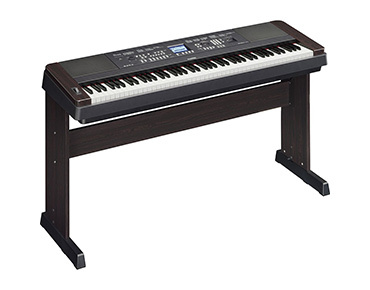 All in all, this is the best digital piano for beginners due to its user-friendliness. 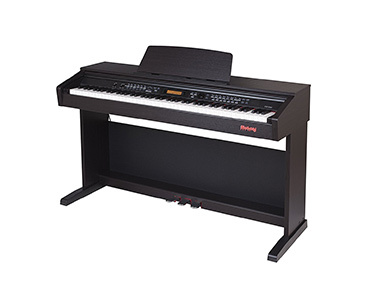 Beginners looking for an authentic piano playing experience will want to consider the Roland F-140R. 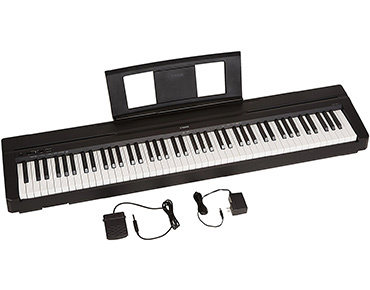 The 88 keys on this digital piano and the three pedals provide an outstanding playing experience. This setup will also allow players access to 305 additional tones and 72 different rhythm styles. Moreover, this keyboard comes with a stand which is an essential piece to its operation. It is easy to produce vintage electric piano sounds from the 88 natural weighted hammer action keys on the Korg SP280BK. 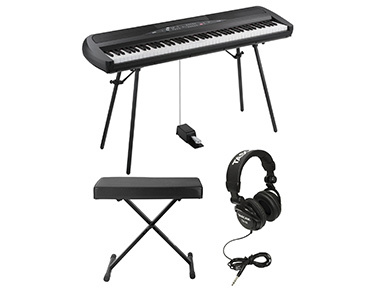 In addition to the keyboard, this kit comes with full-size headphones and a keyboard bench. A total of 44 watts of power makes it easy to hear this system. Note that this digital piano produces enough volume to use it for small live events without a public address system. Players find 88 hammer-weighted keys on the Flychord DP330 extremely accurate. The included three pedals gives an authentic playing feeling. 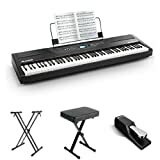 What makes this a great choice for the best digital piano for beginners is the fact that players can choose between 500 voices and 200 styles. Once players get a little experience, they may enjoy using the auto accompaniment, performance assistant, and register memory functions. 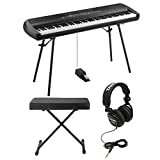 This keyboard comes with a sustain pedal and offers the full range of 88 graded-hammer-action keys. Such an instrument selection has dual front headphone jacks. This feature eliminates the need to plug them in in the back as on most digital pianos. It also includes 34 unique instrument sounds. Truth be told, this Yamaha DGX-650 model may be a little more complicated to master. 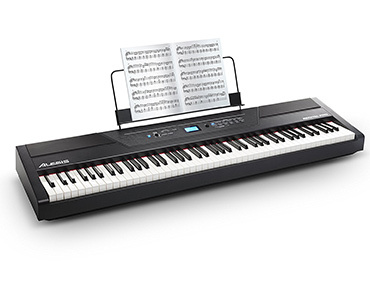 However, beginners will love all the features this digital piano brings. It is this suite of settings that makes it a great choice for the best digital piano for beginners. This piano features 88 Graded Hammer Standard action keys. Moreover, their tones have been carefully sampled from a grand piano. The Casio Privia PX-160 has 88 hammer-action keys. Owners can play at it sitting down in a normal piano fashion. This setup comes with the keyboard. The base contains the normal three pedal system, the piano bench, an instructional book and DVD and a polishing cloth. The 0.25-inch right and left outputs make it easy to connect other components to this board. 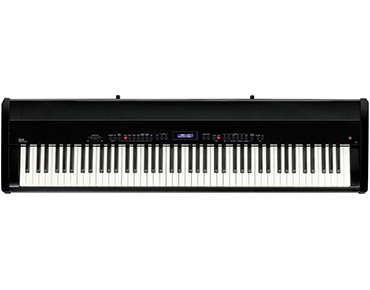 The Yamaha P71 digital piano offers 88 weighted keys. The keys play heavier at the bottom and lighter at the top just like an acoustic piano. This best digital piano for beginners placed high on our list because of its 10 authentic sounding voices. These can be set to play two at a time through the dual mode setting. Enjoy playing in private using the 1/4 inch headphone jack! 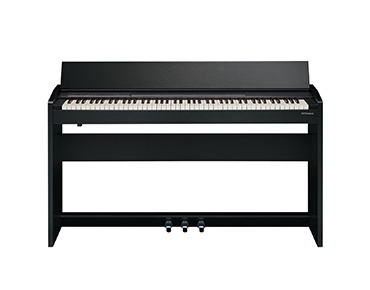 Alesis Recital Pro digital piano offers 88 full-sized weighted keys that players can adjust so that the weight is right for them. This is the best digital piano for beginners who are taking lessons on their keyboard. That’s because the keyboard can split into two different layers allowing each player to play the exact sound as their teacher’s at the same time. The built-in pedal resonance allows players to customize the sound even further. Some of the models for the best digital piano for beginners of the year are designed to get players started. Others are systems that students can easily play for many years to come. Feel free to share your thoughts about these choices in the comment section below!